Aloha friends! 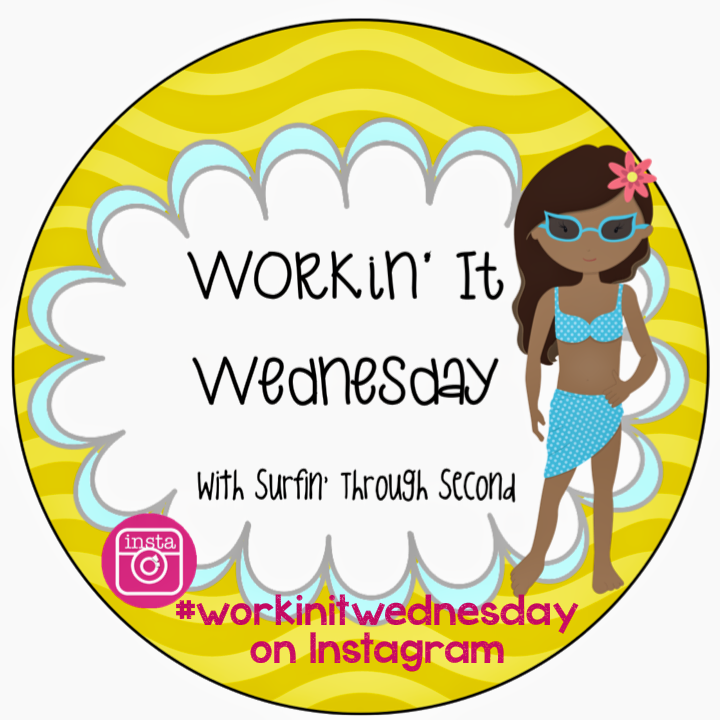 Welcome to the third edition of Workin' It Wednesday. So glad you stopped by! 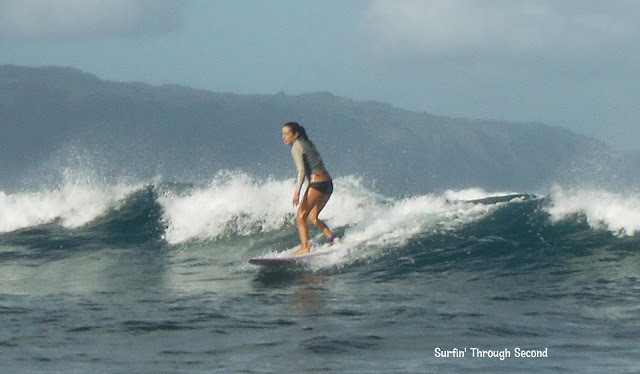 But, I was able to get in a few more surf sessions after my car incident. I wish I had more pics of me surfing, but that is really a hard picture to take! One of my surf buddies brought her camera out one morning and took this picture. My waterproof camera died last summer, and I was planning on getting a new one. I am researching what is available. I would love to get a GoPro, but the price is out of my range. This video from their website is amazing! I think I just love watching it for fun! Hopefully I will find something in my price range and get some great surf and underwater pictures soon. Today I am going to show you how I am Re-Workin' my daily diet. During the summers I always like to Detox my body when I can. I started doing this probably 6 years ago. I began doing the Master Cleanse. Have you heard of this one or tried it? It is incredibly hard to do and you get extremely grumpy! I actually did it for 3 summers in a row, not to lose weight, but to clean the crud out of my body and start fresh. You basically drink this lemonade concoction 6 times per day for 10 days. You also have to drink a saltwater mixture to flush everything out of your body. That's it. No solid food for 10 days!! Well I was talking to another teacher and she recommended this book to me. It was published in 2009 and I believe Gwyneth Paltrow gave it a nod and it became pretty popular. Well I read it cover to cover in one day. It makes so much sense and really inspires you to want to change your eating habits. It has lots of information and some things were really surprising. Basically you eat whole, fresh, organic foods and cut out all processed and sugary items. This includes caffeine!! That's a tough one for me. I am rereading and starting to make a few changes, but am not going to go on a full detox just yet. I love many of the recipes and I plan to start juicing and making more smoothies for breakfast instead of my Everything Bagel with Cream Cheese and coffee. My book is pretty well worn and all my favorite recipes are bookmarked. If you decide to try this program it does call for a juicer. I have a great juicer and actually use it quite a bit. I cannot get my 11 year old to eat fruits and vegetables. She is so darn picky! She started watching me make my juices and finally she asked if she could try one. I had her try a carrot juice with apple. She was hooked. She asks me to make her a juice quite a bit these days. Today I didn't have whole carrots or apples so I just used baby carrots. It is so tasty and fresh. I like to add an apple, celery and beets when I have them. It's much easier to start small and work up than trying to start a full blown detox diet. It really depends on your lifestyle and your situation. It can also be extremely expensive! Food is already sky high in Hawaii and buying all organic is crazy!! Luckily my area has some great Farmer's Markets and I can get some fruit from my own yard. Are you changing up your eating habits this summer? What do you plan to add or take away? Do you have any great recipes to share? 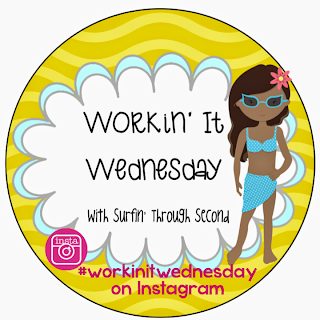 Can't wait to see how you are Workin' It this week. I started working out again! Did my first Nike Training Club workout yesterday, and I'm way too sore today. It's killer! Hoping to do that every other day and run in the mornings on the off days. Definitely need to get some motivation/encouragement for that! 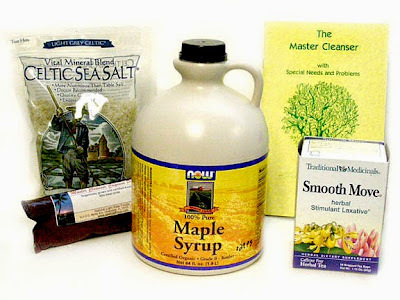 I will look into the Clean book and some eating clean recipes. Have you read the book "The Eat-Clean Diet" by Tosca Reno? Good read! I have seen that book and I think it is probably very similar to the one above. That is awesome you are able to start working out again. It's nice to have a club to belong to, it keeps you on track!! We just got a juicer last week. And when I say 'we" I really mean my husband bought one because he is really excited about it and I am trying to force myself to use it. I have a few I like, I really want to make it a regular part of my diet. My morning juice is carrots and oranges (your daughter would love it!!) and I have another one with some more green goodness going on! I like the green juices. I am growing some Kale out in my yard and I use that quite a bit! Very interesting information! Good luck with your detox this summer! My family got a Vitamix a couple of months ago and it has been absolutely awesome. We make fruit and veggie smoothies all the time (almost every morning). It was a steep price but definitely worth it. We use a lot of Kale and spinach because it blends down to almost nothing, then add in some fruit, chai, steel cut oatmeal, and whatever else and we've got a meal. Our kids love it and they can't taste half the vegetables that get mixed together (so we all win). I am jealous of your Vitamix!! I just can't justify the price right now :( That is great you are able to sneak all those veggies in. I am working on it! Wow! Except for the surfing, you and I are so much alike:) I first did the Master Cleanse back when I was a teenager! I never did it for 10 days. I think the most I did was 5 days. But it's super tasty. You're right though, you do get kind of grumpy. I was also thinking of a cleanse this summer. It's hard to do but I always feels so great after. We also have a juicer (same brand, different model) and our favourite drink is carrots, apples and ginger. I also like throwing in some kale. My goal this summer is to get super fit and blow away my age group competition in a big 8k run in the fall:) I can think big, right? Can't tell you how much you rock. The Master Cleans is awesome. Now I know why you look so fabulous all the time. I am determined to get healthy this summer! Now that the stress of the school year is over, I can focus on exploring our island with my kiddos and cooking some fantastic meals! We started getting veggie boxes from Kula, Maui delivered every other week and it's so fun to see what we will get. It also forces me to incorporate more veggies into our everyday diet. And I'm so excited that you blogged about juicing! My teaching partner swears by it and made me some juice for the first time just the other day! I loved it! Now I have to decide, do I get a juicer or a breadmaker? Bread is so, so expensive!